Newcastle United v Peterborough United | NUFC Blog. Archive for tag: Newcastle United v Peterborough United. Toon v Posh video highlights and match review. Newcastle United wing wizard, Jonas Gutierrez explained his non goal celebration for a fantasic solo effort against Peterbourough yesterday. While many fans were expecting some kind of extravaganza involving ‘that’ mask as Guti covered St James’s Park in an invisible spider’s web, he eventually made even Alan Shearer look ostentatious. Hughton: Focus was the key to win. Chris Hughton claims that the team’s focus was the key to Newcastle United’s win over Peterborough yesterday. 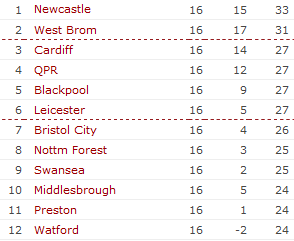 Cardiff lost away to derby rivals Swansea and West Brom managed to beat promotion hopefuls Leicester, which means a bit of a gap has opened up between the top 2 and the chasing back. “We have got a totally focused group of players who, from minute one, saw an opportunity for us to stay on top of the division, and very much took that opportunity. “We have got used to getting on with the job. There are things we can’t affect, but I am very lucky that I have got a group of players who are focused on one thing, and that’s on staying where we are at the right end of the table with the ultimate aim of getting promotion. Posh? Not on your nelly! To be frank, Peterborough squad are the ‘Poundland’ of the Championship. Promoted last year through the playoffs, some of the figures paid for Newcastle United players in recent times would pay for the whole Peterborough squad. They even make Scunthorpe look like Real Madrid. 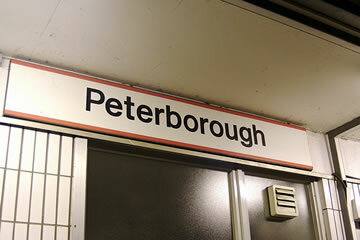 However, if any stray Posh fans are reading this, I come here to praise Peterborough, not to bury them. For despite their current, rather lowly position in the Championship (second bottom on goal difference with 11 points), they have been minor miracle workers who, on paper, shouldn’t even be in the Championship at all. But, like Rocky Marciano, plucky Posh have managed to punch above their weight very admirably overall. They also have the ability to slay giants too, including Newcastle United on more than one occaision.